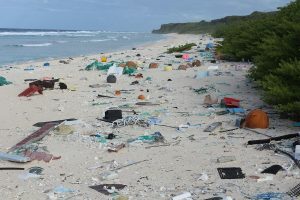 The beaches of Henderson Island are littered with plastic razor blades, toothbrushes and scoops from containers of baby formula, coffee and laundry powder. Turtles get tangled in fishing wire. Land crabs make their homes in toxic plastic. Despite sitting 3,100 miles from the nearest factory or human settlement, this South Pacific island is covered with the highest density of plastic debris ever recorded in the world for a beach, according to a report published Monday in the Proceedings of the National Academy of Sciences. The team estimates 37.7 million pieces of plastic debris litter Henderson Island, exposing the extent to which the Earth’s nooks and crannies have become sinks for the 311 million tons of plastic waste created annually by humans. Throughout her career, Lavers has traveled to some of the world’s most remote islands, but her examination of Henderson Island began on Google Maps. One day, she was looking at Google footage of Henderson Island and noticed significant quantities of trash on the island’s beaches. The location of Henderson Island, which is part of the the Pitcairn Islands Exclusive Economic Area (boundary for latter shown in light blue). Arrows indicate the direction of major oceanic currents and the South Pacific Gyre. 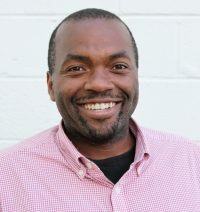 Photo by Lavers J.L. and Bond A.L., PNAS, 2017. So in May 2015, she and her expedition team ventured to Henderson Island, which has an area of 14 square miles. (By comparison, Manhattan is 22 square miles in size.) Henderson island sits in the path of the South Pacific Gyre, a major oceanic current. Such currents are known to accumulate plastic, reaching densities 2.3 million pieces per square mile. 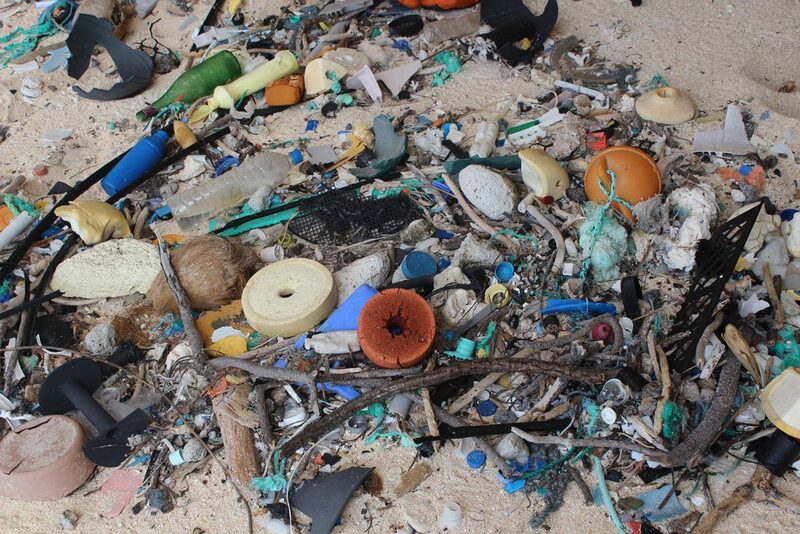 The team spent four months calculating how much plastic filled Henderson Island’s beaches. They walked along the high tide line, splitting up the beach into transects — 32-foot by 22-foot rectangles where they counted the number of plastic, glass, wood and metal items. 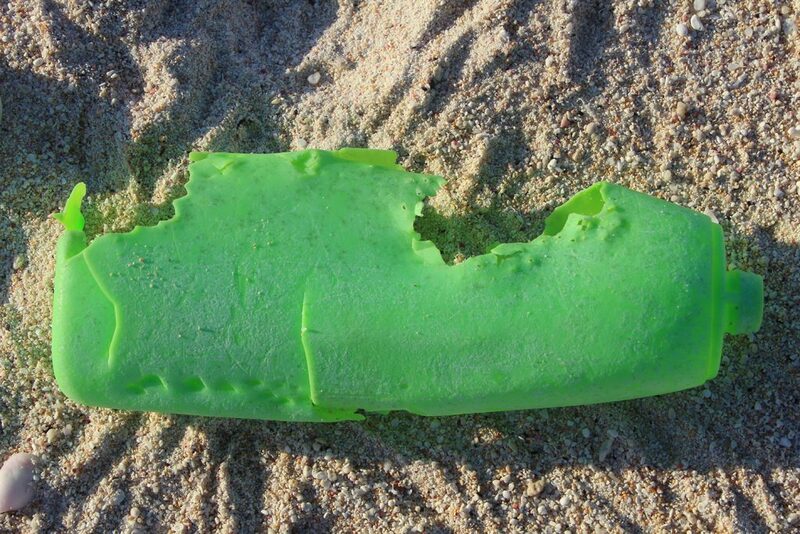 In certain places, the researchers dug 2 to 4 inches to measure how much plastic was buried as sand washed on shore. They also surveyed debris among forested areas adjacent to the beaches. On the worst beach, Laver’s group found an average of 22 plastic items per square foot of beach, and up to 62 piece per square foot in spots. These rates were 200 to 2,000 times higher than what was previously recorded on South Pacific islands in 1991 — the last time such a study in this area was conducted. Overall, the researchers estimated the island was covered with 17.6 tons of plastic debris. Approximately 3,600 items arrive on the island each day, the report stated. The most common items were plastic bottles, caps and lids, but Lavers spotted a trend of single-use “disposable” items – such as those objects referenced earlier: plastic razor blades, cutlery, toothbrushes and scoops found in in coffee and laundry detergent. 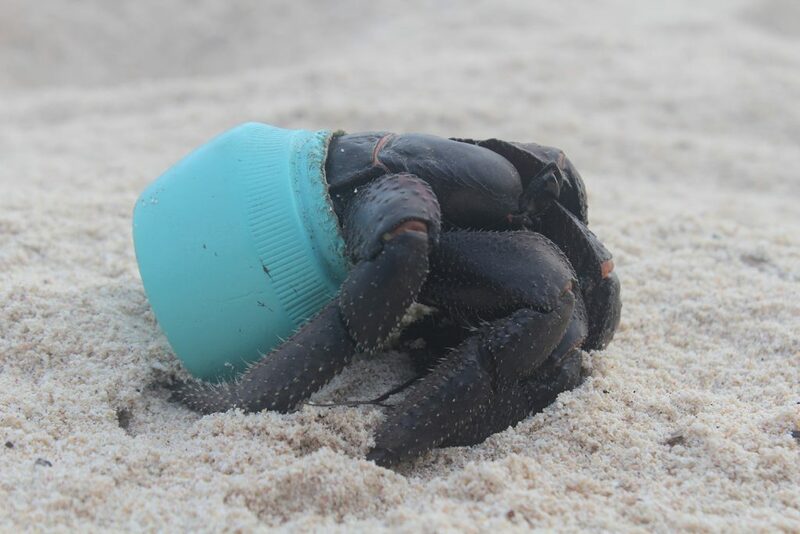 “Hundreds of land crabs now make their homes out of broken, toxic plastic debris washed up on Henderson Island,” Lavers said. And those ramifications are just the visible ones. Heat and sunlight can break apart items like bags or bottles into microplastics, which are easily consumed by wildlife. Prior research has found more than 200 species are threatened by the ingestion of plastics. Plus, most of the plastics — 68 percent or up to 416 pieces per square foot — were buried in and concealed by the sand. 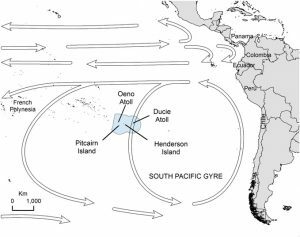 Most of the plastic pieces on Henderson Island trace to Japan, China, Chile and Peru — which may be due to how plastic flows along Pacific gyres as well as the island’s proximity to South America. But some items originated in the U.S. and Europe too. Lavers argued the best way to keep rubbish from washing up on beaches is to reduce our dependence on plastics, especially single-use items, and to use alternative materials where possible. PBS Digital Studios’ Joe Hanson explains what you can do to make the oceans plastic-free.